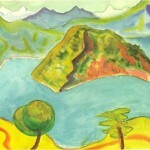 By the way, in 1916, Hermann Hesse underwent psychoanalysis in clinic “Zonnmatt” near Lucerne. 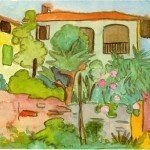 His doctor Lang urged him to express all his dreams on paper, but only in the form of drawings. 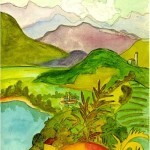 The first works Hesse drew in Bern and around Locarno in Ticino. 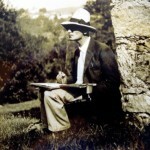 However, in 1917, Hesse became interested in the genre of self-portrait. 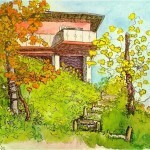 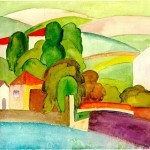 In addition, in 1918 he undertook in Ticino further attempts to develop techniques of drawing, and illustrated his first book “Hiking” (published in 1920). 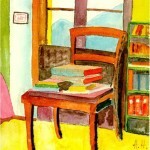 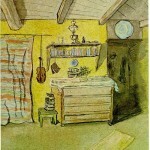 The first exhibition of watercolors by Hermann Hesse took place in the exhibition hall in Basel in 1920, the same year the journal “Wieland”, Munich, published the first reproduction of Hesse. 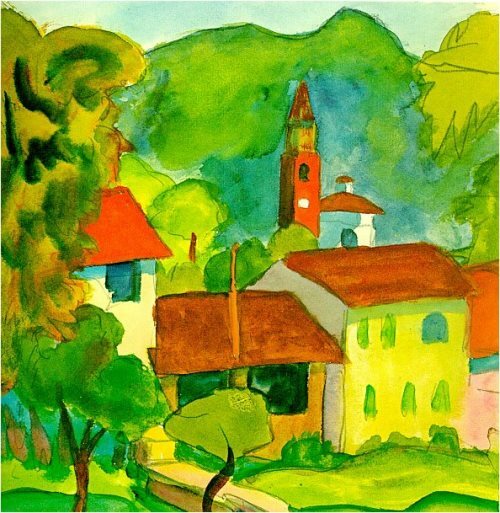 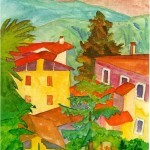 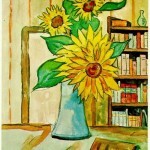 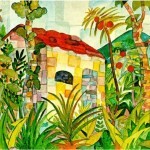 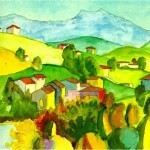 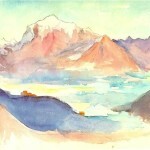 In 1921 he published an album of “11 watercolors of Ticino.” In 1922 in Winterthur was held a joint exhibition of watercolors by Hermann Hesse and paintings by the artist Emil Nolde. 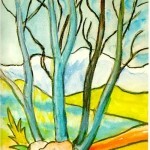 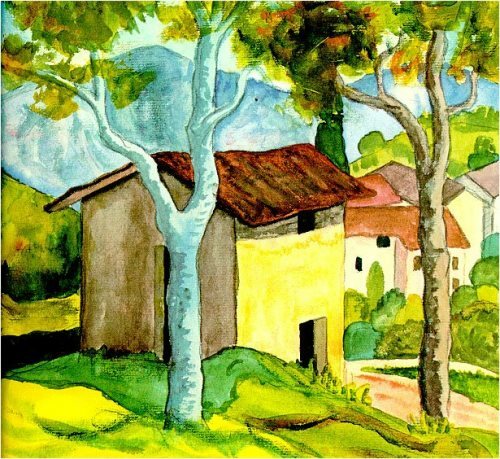 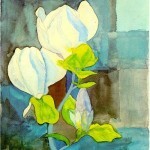 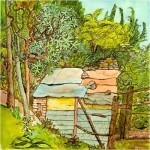 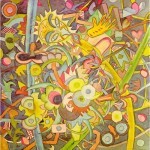 After the death of Hermann Hesse (1962), an exhibitions of his watercolors were held everywhere: Tokyo (1976 and 1996), Paris (1977), New York and Montreal (1980), San Francisco and Chicago (1981), Madrid (1985), Luxembourg ( 1987), Hamburg (1992), Sapporo (1995).